Mike’s love for Rush started in 1978 and 2112 – A Tribute to Rush is an ongoing chapter to this nearly 40 year devotion. 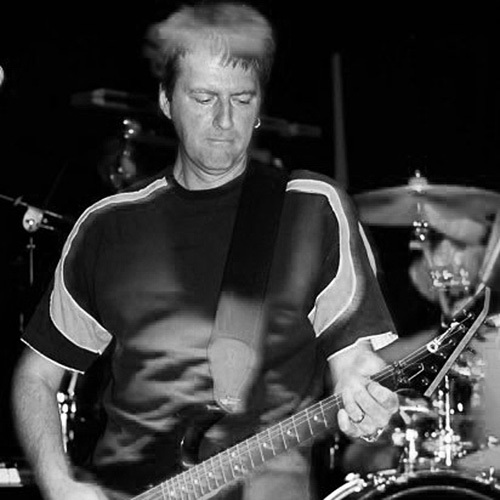 Mike formed 2112 – A Tribute to Rush in 2004 recruiting Phil Jones and presenting a first show in 2005. One highlight in Mike’s tribute career was being a part of the documentary “For The Love Of Rush” which documented Rush tribute bands in Canada and the USA. 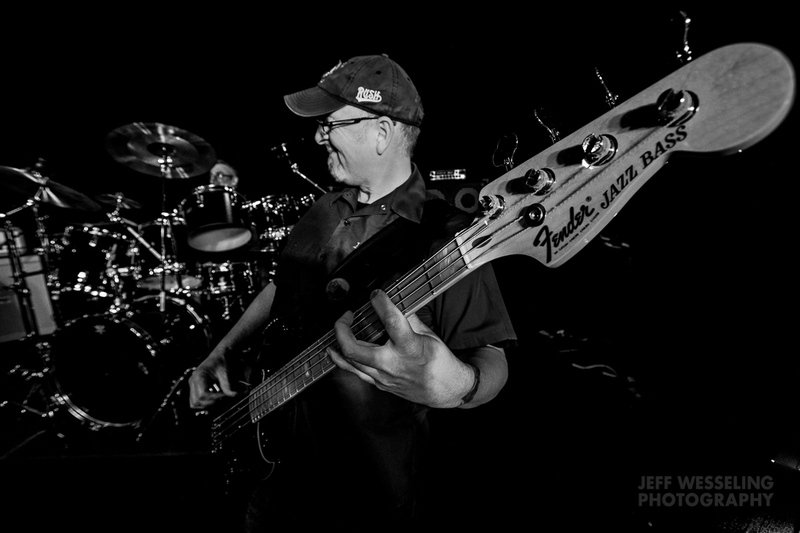 Mike continues his love and devotion to Rush’s fans by arranging and performing Bass Guitar, Keyboards and the complex Effects and Triggers required to accurately and entertainingly emulate the live and studio sound of Rush’s earlier career at every 2112 performance. Robert is the voice of 2112 A Tribute To RUSH, 1974-83 recreating live and studio renditions in a striking tribute to Geddy Lee’s hard to equal soprano (and more) tone. In classic Rush songs from such live concert albums as All The World’s A Stage and Exit Stage Left, Robert’s passionate voice challenges audiences to believe it’s not Geddy and yet brings a new and special vibe to each performance. 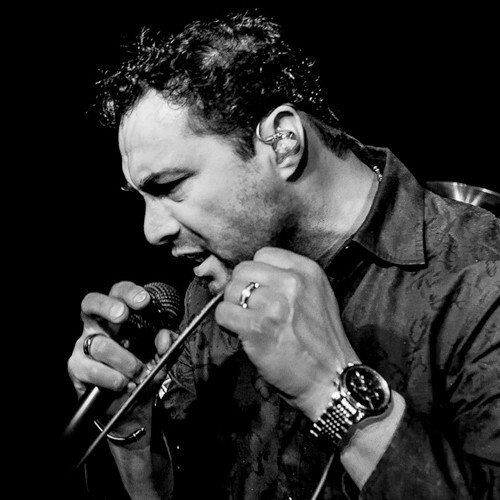 For just over 10 years and 200 performances Robert is also the voice of CODA The Mighty Led Zeppelin Experience. In 2013 Robert performed with Classic Albums Live covering the album Led Zeppelin II and more, performing at The Georgian Theatre. In 2014, Robert performed in “Boomer” a multimedia broadway-style extravaganza, telling the story of the boomer generation while weaving in it’s most popular songs. Honoured to be asked to join 2112 to cover lead vocals from Rush’s 1974 – 1983 era, Robert loves that 2112 covers the songs that made RUSH the legendary band that they’ve become, loved by so many world wide. 2112’s audiences can close their eyes (or keep them wide open for Rob is easy on them) and certainly think Robert transcends in his tribute to Lee. Phil started playing guitar at age 10. At 19 one of his friends asked how much he remembered, and convinced him to learn a few songs and start a band. To his surprise he enjoyed the process of learning and playing songs, and it was at this time that he realized that he had found his “thing.” Since then he hasn’t looked back and has played in many cover bands, including tributes to The Doors and Stone Temple Pilots. This is actually Phil’s second tour of duty in 2112. Back in 2005 Phil answered Mike’s call looking for a guitarist, and this was the beginning of 2112. Phil has been a big Rush fan since age 16, when he bought their first live album – All The Worlds A Stage (which blew him away!). Phil is excited to be back in 2112, playing all the great Rush songs he loves. 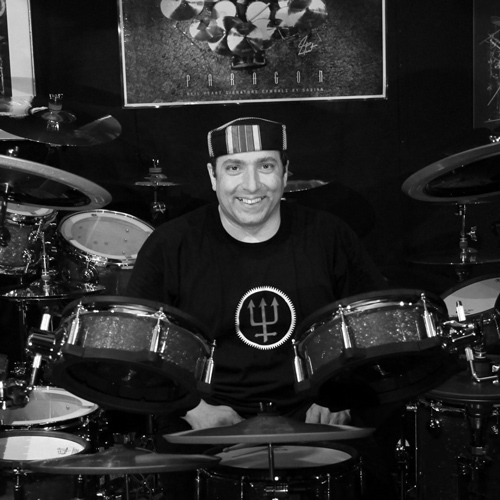 With over 4 decades as a drummer, Sam’s true passion is Neil Peart and the music of Rush. He has been a Peart fan since 1976 and has seen 54 Rush concerts. Although he enjoys the work of other great drummers such as Steve Smith, Rod Morgenstein, Todd Sucherman and Carter Beauford, Neil Peart, the most universally respected rock drummer is #1 in Sam’s view. A phenomenally talented percussionist, it is nearly impossible not to watch Sam work during a 2112 concert doing reproduction of Neil Peart’s compositional, creative, powerful and intricate drum parts and extensive drum solos. Along with Mike Deyo and Phil Jones, Sam is an original member of 2112 and like Mike Deyo, considers being a part of the documentary “For The Love Of Rush” as a career highlight.